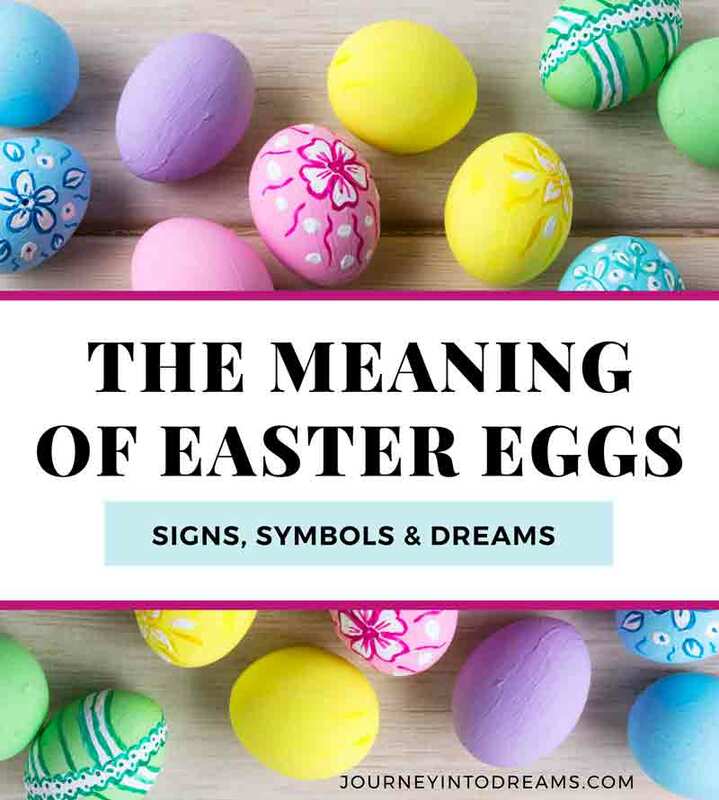 Dreaming about eggs can mean many different things - often times how this dream symbol appears can give us a better idea of what it means to dream about an egg. What is the Meaning of Eggs in Dreams? Eggs can manifest in many different ways in our dreams. Eggs are a very common food, and we eat them for everything from breakfast to using eggs as an ingredient in many of our favorite recipes for cakes and cookies. Many animals, ranging from birds to snakes lay eggs. As you can imagine, it is a very different meaning to see a nest of blue robin eggs in the spring than seeing a plate of scrambled eggs for breakfast! In our dreams, eggs are often a symbol for rebirth and renewal. Seeing a nest of eggs could be a sign of your feelings towards starting a new project or beginning something new in your life. Eggs are also very natural - especially if you consider almost all living animals and humans begin as a tiny egg in some way. It can be a sign of a desire to feel whole and tap into our connection with the universe. Eggs can also be a symbol of fertility. If you are trying to get pregnant for example, you may have recurring dreams of eggs as a sign of your own feelings towards wanting to have children. Often times we can see a nest of eggs in our dreams. If you see a nest of snake eggs or crocodile eggs, it may mean you have feelings of anxiety, fear, or uncertainty about the results of a situation. Seeing a nest of bird eggs may mean that you are feeling hopeful about upcoming changes or are looking to start again in a new project or endeavor. Eggs are a common breakfast food, and we often associate them with being a good source of protein and other healthy nutrients our bodies may need. Dreaming that you are eating a plate of eggs could mean you are nurturing yourself or doing something in your current life that makes you feel rejuvenated and renewed. Scrambled eggs could mean you are uncertain about the outcome of a situation. Sunny side up eggs could mean that you are hopeful about the outcome. See eating in dreams meaning and meaning of food in dreams for more details if you dreamt of a plate of eggs or cooking eggs in the dream. Discovering a nest of eggs could mean that you are finding ways to increase your profits in business or want to experience wealth and abundance in your life. Eggs can often be a sign for wealth and financial abundance. You may be considering a new investment opportunity, or you could be looking for ways to help you save up a "nest egg" for retirement. If you dream of a chicken coop and gathering eggs, you may feel like it is time to see the rewards of all of your efforts in work or personal life. If you have been working hard at something, this could mean you are ready to see the results and enjoy the harvest of all of your efforts. Occasionally, we will see eggs as being broken in our dreams. There is an expression, "Don't Put All Your Eggs in One Basket", and occasionally, dreaming of broken eggs can mean that you are relying too much on one thing. You may need to explore alternates or having a backup plan in your endeavors. The broken eggs may represent a shattering of faith or beliefs. You may be seeing the truth in a situation, or you may be experiencing a shattering of illusions. Dyeing eggs is a very common Easter tradition. Seeing painted eggs or dyed eggs can be a symbol of celebration of life. In Catholic traditions, the paint and dye of the egg is a symbol for the life of Christ - when the outer hard shell is broken, this is a symbol for the breaking of the tomb and of Christ's resurrection into heaven. Dreaming of filling or opening plastic Easter Eggs may be a symbol of discovering hidden treasures and meanings in something. If this dream is not a positive one, such as discovering the eggs are empty or filled with negative things, it could mean that something is merely superficial or that you are experiencing disappointment. What do you think your dream means? Share your experiences with dreams about eggs in the comments section below!